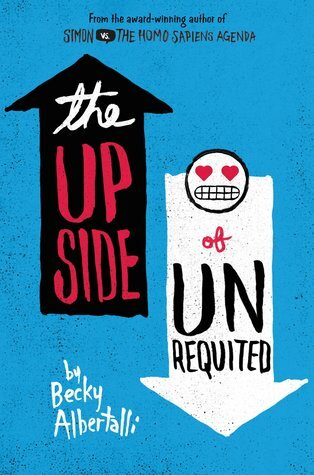 1) The way Albertalli constructs characters is seemingly effortless but unquestionably brilliant. Her characters are so real. If someone told me that they were real people, I would have no problem believing it. I could almost hear their voices and the sound of their laughter as I was reading. 2) I think that this book is a perfect example how diversity should be included in books—varied representation without it feeling like a diversity checklist. 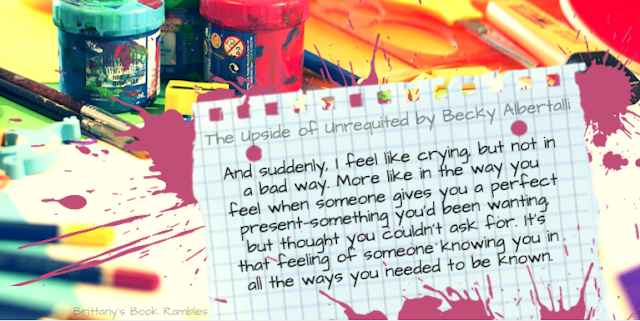 The Upside of Unrequited celebrates being different in every sense of the word. As I said before, all kinds of marginalized groups are given voices in this story, and it's beautiful and touching. 3) I love Molly's family in this story. They all have interesting personalities and made me laugh so much. 4) I'm not going to spoil the ship, but I just have to say that I ship the endgame couple so hard. They are so freaking adorable from the very beginning—I really wanted more from these two. 5) I love Molly! I just wanted to hug her throughout this entire book and tell her that she wasn't alone and that most of the people I know have gone through (or are currently going through) what she is. I'd love to be her friend because she's freaking awesome. 6) Simon's cameos! Ahhhh those were gold, I love that boy so much. 1) At times, the pacing of the book through me off a bit. There were times where it was really slow and then all of a sudden it was moving at breakneck speed. It made reading it a bit disjointed and disrupted the flow of the story for me. YES YES YES SO GREAT TO HEAR YOU ENJOYED THIS! It was such a cute and amazing read and I loved the romance and how relatable the characters were. Also I felt it stood out to me from other contemporary YA! Aw, I loved this book! It was so sweet and I absolutely loved all the diversity and the theme of self-love. 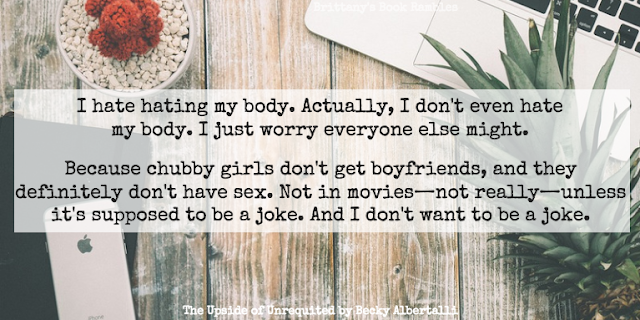 It left me dying to read Albertalli's other book, which I seriously cannot wait to read. I'm so excited for her to release more books as well if they are anything like this one! I haven't talked to anyone that hasn't loved this one, it's just too cute to resist. If you don't like it, you don't have a soul. I read Simon Vs. the Homo Sapiens Agenda right after I read this one. It was also super cute but I think I like this one more. It's so good! It just makes you smile the entire time you're reading it. I hope you love it as much as I do. You should read them asap because you're missing out! They are so great. I hope you love them! oh yay...I am glad to see that you enjoyed this one so much. I have heard some wonderful things about this book. Although it can be such a pain to read a book that goes slow at times. Believe all the wonderful things you're hearing because it's so cute! And yes it can be a pain, but they weren't terrible, so I hope you give this book a chance! Oh another great review of this book. This sounds like something I would enjoy and I have yet to read her other book. Yep, this author is now on my must read list. After reading this one, I immediately read her other book. Both are super cute so you should definitely give them a shot! This one sounds really good! I'll have to add it to my TBR. I don't read a lot of YA contemporary, but this sounds right up my alley. Great review! Love the quotes you shared as well! Yes, you definitely need to add it on your TBR! 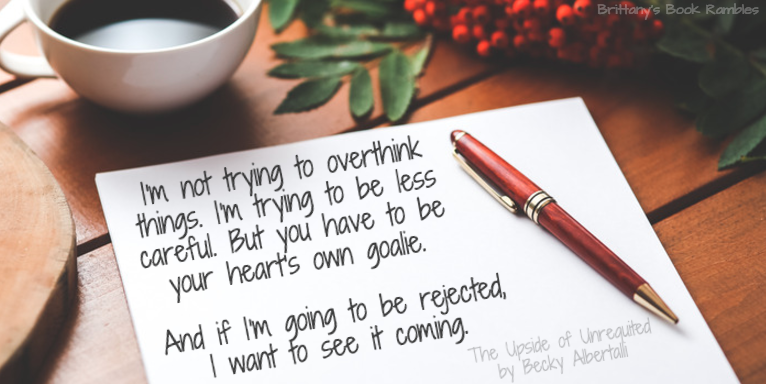 I don't read a lot of YA contemporary either but there are a few out there that are just too precious to pass up! AHH THIS WAS SO CUTE! I loved it too!! And I totally shipped that endgame couple. What adorable little nerdy cuties. 😍Also the fact that it included pinterest and everything?! It felt really like a book set in TODAY and I loved that so hard. And Simon's cameo made me squee, I won't even deny. I need to reread Simon Vs again!! Yes, I totally agree! It felt so current and so important for today's readers! I just loved every second of it. Yay, I'm so glad you loved this book too! It's one of my favorites of the year so far. 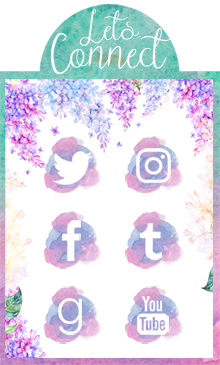 It's so freaking adorable that your heart will burst into rainbows, LITERALLY! Definitely check it out ASAP!! Stopppp with the Lin-Manuel && Raven-Symone GIFS. I'm fragile, Britt. :( :D I've been dying to read The Upside of Unrequited like no OTHER. It sounds so fun and amazing and just downright adorable, oh my. Plus, DIVERSITY. Fab review! !